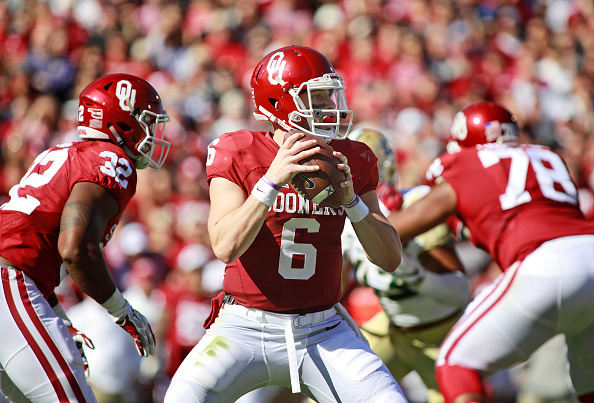 Oklahoma, Baylor and Iowa State assembled strong out-of-conference slates. Last season, the Big 12 was all but out of the Playoff conversation by the time the non-conference season was over. Early losses by too many teams knocked out the contenders and ruined the chances for big wins in conference play. While grading the Big 12 schools, we have to keep that in mind. A good non-conference schedule is great for individual teams. But when it adds up to too many losses overall, it can be very damaging to the conference as a whole. Grading teams’ schedules is always a bit of a subjective art. After all, it would be foolish to expect Kansas to schedule the same teams as Alabama. A team expecting to be in the Playoff picture has to schedule better than a team who can’t even expect to make a bowl game. Also, I try to take into account when the game was scheduled as much as possible. Just to review my format, I will grade each non-conference game that each team plays, with an explanation for that grade. Then I will grade the entirety of the non-conference schedule overall. Baylor has been known for its weak schedules in the past, but it’s definitely better this year. The FCS team on the schedule isn’t even really an FCS team, as Liberty is currently transitioning to FBS. Baylor’s second supposed cupcake of the year actually is expected to be a decent challenger in Conference-USA. This isn’t a team that Baylor — even with its current turmoil — should be expected to lose to, but it’s not a total cupcake. As I said in my ACC Coastal grades, I am a huge fan of this series. Both programs were struggling but improving when this was scheduled, and both have fallen on hard times since. Each team will be looking to improve this season, though Duke currently seems better-equipped for that. Still, this series is one that fans should be very happy about. Baylor is far from a Playoff contender at the moment, so this schedule is pretty solid. It has one cupcake, one not-awful Group of 5 team, and one Power 5 team of equal standing. That’s all I ask for. I’m actually okay with this game. Yes, it’s an FCS game. But it’s an in-state FCS pseudo-rivalry game against a solid program with a penchant for upsetting the Cyclones. Annual rivalry game against a P5 team. Nothing to complain about here. Props for this. The Cyclones are making a road trip to a Group of 5 team that won’t be a huge underdog. Then again, that probably wasn’t expected when the game was scheduled. I won’t ever complain when a P5 team plays a road game against a Group of 5 opponent, though. Iowa State’s non-conference schedule is probably tougher that what the program should be looking for right now. There is a not-ridiculous chance that Iowa State is 0-3 after three games. Then again, winning all three of these would be a great boost for the program and second-year coach Matt Campbell. It’s aggressive, but not overly risky and there are no sure losses on here. I like it. Kansas needs wins, and this should be a sure win, even with the current state of this program. A middle-to-top MAC team might be a good test for Kansas this year, but I think I would rather see the Jayhawks play a slightly weaker MAC program. They need likely wins, and this game seems like a toss-up at best, even if Cooper Rush is no longer at CMU. Props to the Jayhawks for this series with the Bobcats. Ohio should definitely be favored at home in this game, but it’s good for most teams to play one non-conference game in which they are playing “up” a little. Then again, it’s more than a little sad that “playing up” for Kansas means a road trip against a MAC school that last lost fewer than four games in 1997. It’s not a bad schedule for a team in Kansas’ position right now. There are no guaranteed losses on here, and one game that should be a win. This program needs to turn things around right now, and picking up 3-4 wins on the season would be a step in the right direction. This schedule is both challenging enough and easy enough to make that possible. Starting off with an FCS school is fine for programs like Iowa State and Kansas. I’m less forgiving when good programs do it. Charlotte isn’t an FCS program, but it may as well be. Watching the 49ers shows that they have drastically improved since joining FBS, but being competitive in this game is probably too much. This should be a pretty good game, and a real test of where the Vanderbilt program is right now under rising coach Derek Mason. I like it. There is one good game and two complete cupcakes on this schedule. It’s not the worst, but it’s not great either. The Sooners are starting off with a cupcake, which is totally fine because of what comes next. This will be, without question, one of the two biggest non-conference games of the year. It’s two early Playoff contenders squaring off in what should be a Top 5 matchup. Oklahoma is on the road, which won’t make beating the Buckeyes any easier. The Green Wave aren’t awful, and might even win some games in the AAC this year. I’d like to see a better Group of 5 team on Oklahoma’s schedule, but the Sooners could do a lot worse than Tulane. There are no FCS teams on this schedule, and there is that huge game in Ohio Stadium. It’s not perfect, but it’s certainly a worthy schedule for any Playoff contender. Check back with The Comeback on Wednesday when we’ll look at the other half of the Big 12 — including Texas, West Virginia and Oklahoma State — and their non-conference schedules.